A stunning display of Patriotism and Nationalism, this tribute to the American Bulldog will surely convince friends and family members to obey your American Bulldog. The American Bulldog has imperial ambitions to dominate the world, and now you can support this quest, and the American Bulldog Revolution with this Official propaganda! 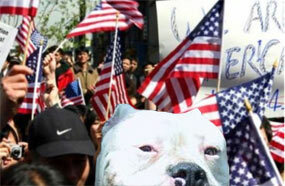 When the American Bulldogs take over, will you be spared as one of the lucky ones? 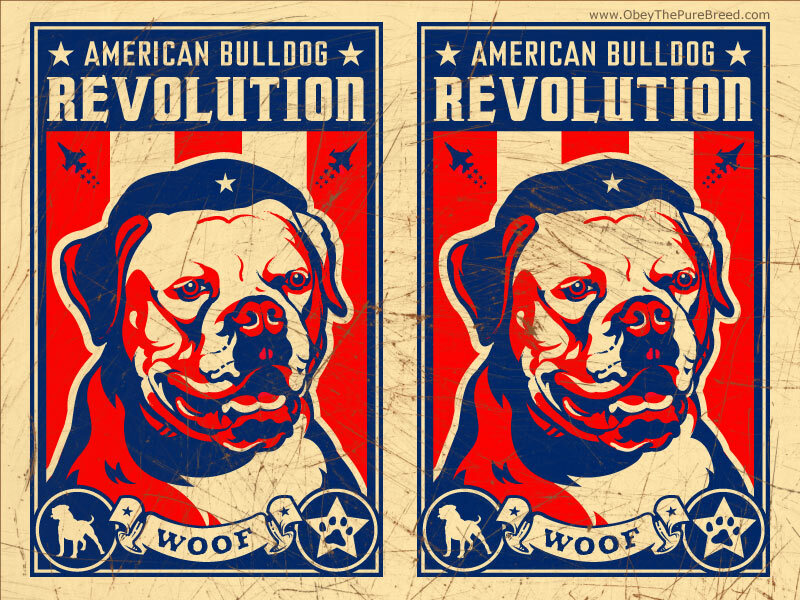 Show your patriotism and Download this American Bulldog propaganda wallpaper! Related: All about Lin Manuel Miranda's dog, Tobillo! Long live Great Leader Chairman Meow!